Traveling to Barbados? This is the right spot on the internet to find places to swim in Barbados. Each day you are not swimming you're losing precious time in improving your skills to be a much better swimmer! No more excuses! Get your nearest Barbados Swimming Pool and tell us how it went. Are you a common swimmer? Have you ever practiced Aquagym in Barbados? Let us know!. Do you know of any Pools in Barbados that need to be listed here? Contact us!. Thanks to some new pools submitted by swimmers like you, Swimia.com is escalating within the daily quantity of stored pools. Please do not hesitate to contact us if you get any Barbados Swimming Pool with inaccurate or incomplete information. Not all countries are the exact same, and swimming rules and regulations are changing from one country towards the other. 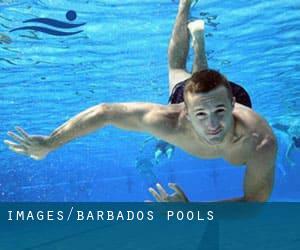 So, if this is your very first time looking for Barbados Pools, make sure you contact the premises before you drop by. 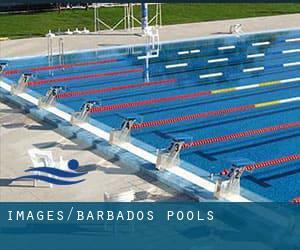 Most of the Barbados Pools offer both open lanes for independent swimming and also guided activities like water aerobics or Aquabike. One of the advantages of outdoor swimming in Barbados is the possibility to sunbathe throughout the summer time season. Taking it with extra care, sunbathing is wholesome because introduces Vitamin D into the body, so the best alternative seems to be switching among indoor and outdoor pools depending on the season. It's difficult to visit Barbados without having dropping by Speightstown (with 3.634 residents). Presently Swimia is showing you all of the Swimming Pool in Speightstown and the closest pools located in its vicinity. Swimming is a excellent idea to keep your body active during your visit to Oistins (Barbados), or even when you are a local. Swimia assists you to find your closest Swimming Pool in Oistins. Let us tell you a secret to switch off while you are in Bridgetown: just choose a Swimming Pool in Bridgetown and plunge into the water! There's no extra beneficial method. Holding an estimated population of 1.765, Bathsheba is one of the most important cities in Barbados. Check all the Swimming Pool in Bathsheba and its surrounding region. Updated on 2019 St. James Beach , Holetown . Swimmers like you reported 20 yards x 30 feet, Outdoors. Unfortunately we do not have the e-mail address of this Pool, but we can give you the phone number.